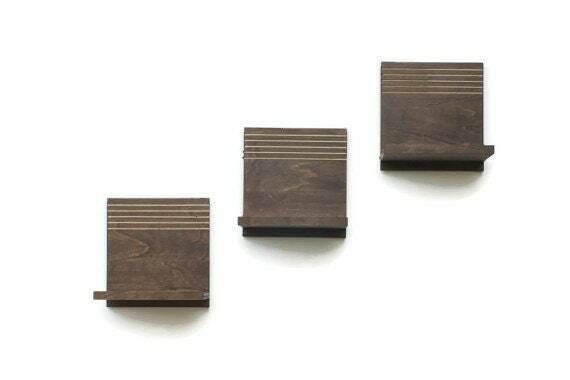 *This listing is for a set of 3 shelves. Please select quantity of "1" for each set. Each modern wood shelf is handcrafted with strong joints and made of wood artfully hand tooled in a pattern of repeating horizontal lines. 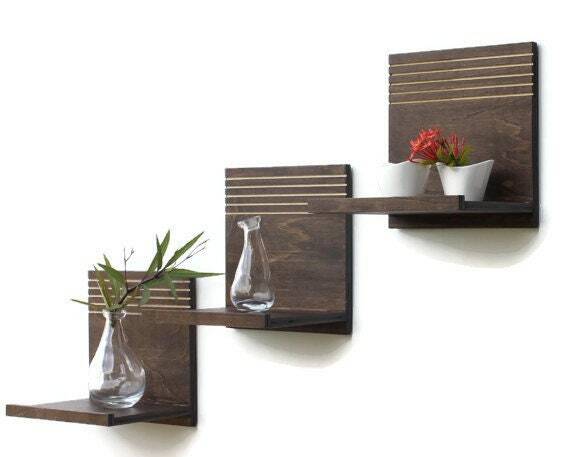 These modern floating wood shelves hang easily on the wall utilizing two keyhole hangers for a sturdy attachment. 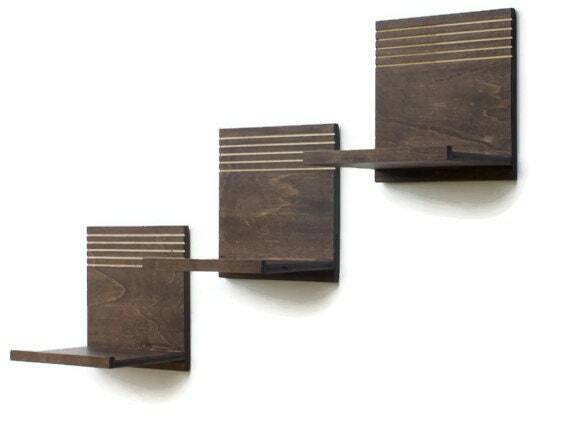 An additional feature is added to the back of each shelf to ensure an even interface between the product and your wall. 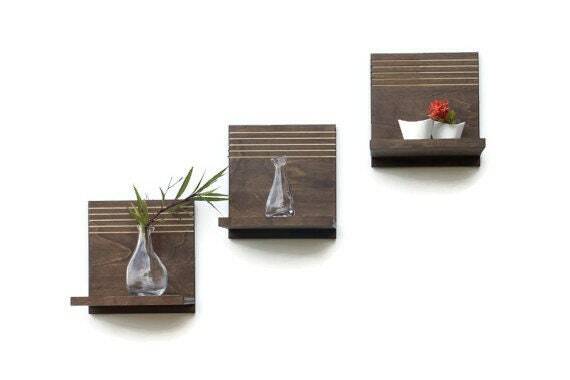 As a courtesy, screws and wall anchors are provided so that you can hang and enjoy your floating shelves the day they arrive! ♣	Color: Please choose stain color from drop down box. 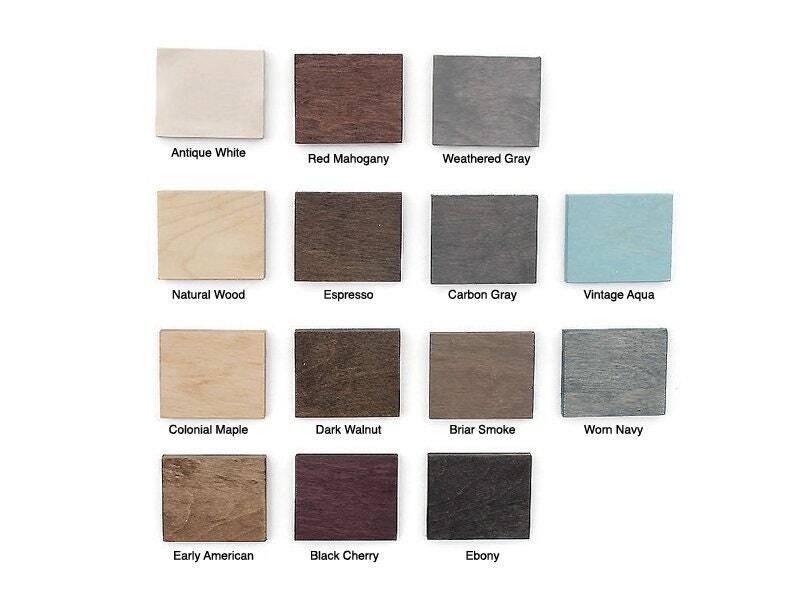 Espresso wood stain with natural grooves featured in images. Shelves are finished in a modern matte clear coat. ♣	Ships via USPS in 5-7 business days following receipt of payment. ♣	Custom orders ship 7-10 business days following receipt of payment, and are final sale. ♣	Prior to purchasing, please visit our Shipping & Policies page for additional information.